As of May 1st, 2018, the movie Black Panther has grossed $1.345 billion dollars to date. It is the world’s ninth highest grossing film of all time. Behind, 1. Avatar 2. Titanic 3. Star Wars: The Force Awakens 4. Jurassic World 5. Avengers: Infinity War 6. The Avengers 7. Furious 7 and 8. Avengers: Age of Ultron. After the death of his father, T’challa, played by Chadwick Boseman, returns to the African nation of Wakanda to take his rightful place as King. When a powerful enemy abruptly appears to challenge his mettle as the new leader. When faced with conflict, the young King must engage the help of his collaborators and release the power of the Black Panther to save Wakanda and the world. This sounds like a story line from real life. The Power of the Black Wall Street. It is the story of releasing our dormant ability and resurrecting in the hearts and minds of Tulsans, the socio-economic and spiritual forces that once made our city great. A belief and culture, where we were not limited by the mentality of self-afflicted standards, or the repressed anger of what could have been. The push to free the mind to think outside the regular pop-culture. This revolutionary milestone is not a “re-imagination of something Black Americans have cherished for centuries”, but what they lived out and manifested in a city called Wa-Tulsa. 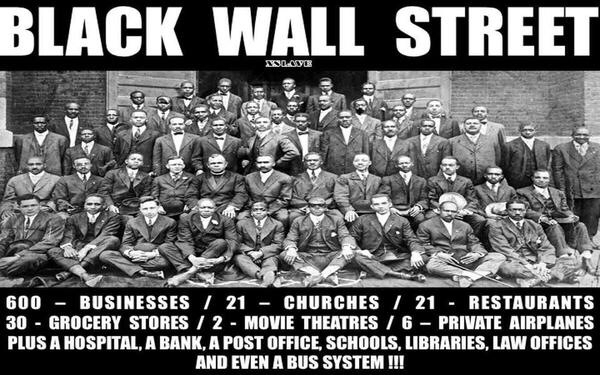 The Black Wall Street was our prolific moment. A time of fruitful endeavors, black professionalism, and business acrumen, that cast a large vision of the future. If only we could change the gray matter beneath our hair styles, lyrics, and rhythmic dance, to embrace the possible in the possibilities and tap into the power of the Black Wall Street. I believe the future is bright! So, we cannot allow the success of our predecessors to die, to do so, would be to deny their very existence. We must embrace the future, while remembering the past. A past, that is still relevant today. I am suggesting that our city should once again, be home to the nation’s wealthiest African Americans per capital and use those resources to impact the world globally. Because “What we bequeath to the future is ourselves, our best self!” Wa-Tulsa Forever! Keep standing on the Rock! In the early 1900’s there was a phenomenon happening in Tulsa, Oklahoma, the sons and daughters of former slaves were paving the way for what would become known as, The Black Wall Street. Tulsa would become the epicenter for our country’s premiere socio-economic boom in the Midwest. With over 600 businesses owned and operated by black citizens, Tulsa, Oklahoma, would become the breeding ground for entrepreneurial excellence and accelerated extravagance, that would place the black businessman head and shoulders above his contemporaries. The list included: 21 churches; 21 restaurants; 30 grocery stores; 2 movies theaters; 6 privately owned airplanes; boutiques; a hospital, a bank, a post office, schools, libraries, Hotels. law offices, Doctors, and even a bus system! The fifteen million acres of land, we once owned in America, have been replaced by less than 3 million acres held by 18,000 farmers who still hold the deeds to land once promised. The Tulsa promise land, like Boley Oklahoma, helped to house some of the world’s richest African Americans and helped to sustain the cultural trend for black wealth in America. The Greenwood District meant the black dollar would exchange hands one-thousand times before leaving the community. In today’s financial boom, the black dollar leaves the black community in six-hours. I am proposing instead of “Black on Black Crime,” how about, “Black on Black Entrepreneurialism.” How about holding each other responsible for building the future through shared partnerships, where a man’s word is still his bond. Where a baby’s momma doesn’t have to come looking for the baby’s daddy because he’s there, teaching the principles of wealth building and financial literacy; while reading and writing bedtime stories that provoke his children toward educational excellence and celebration dances that cover the fifteen million acres we used to own. If Gordon Gekko or Jacob Moore could see us now, standing in the reverberations of the 1921 fires that burned in Tulsa, that seared our thinking and melted our greatest passions and focus for generational emancipation, they too would cringe. Our greatest opportunities are still ahead, waiting to be revealed, waiting to be discovered, waiting to be unleashed by the proclivity of our genius. Thank God from A to Jay Z, we are thinking again and casting off the mental chains of complacency and reaching for the star that represents our true identity. Madam C.J. 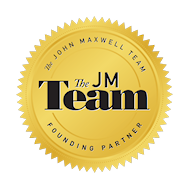 Walker would stand up and shout for joy at the mention of our expose’s on Financial Empowerment, Generational wealth Building, Lunch N Learns, and Master Mind Groups. We must always remember, what we bequeath to the future is ourselves, our best self, and the fires that once burned through the Black Wall Street must be kept burning, if we are to see the resurrection of our dreams.